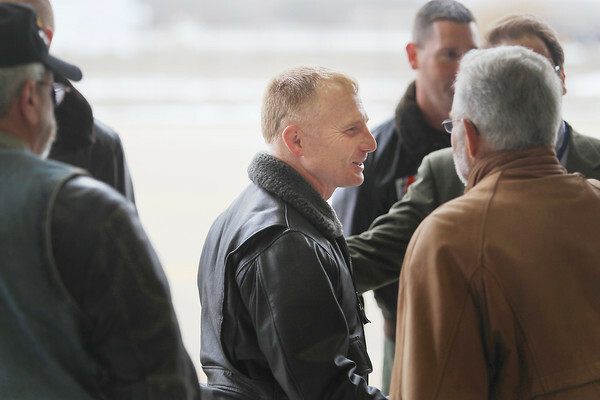 Captain David Throop, commanding officer of United States Coast Guard Air Station Cape Cod, shakes hands after landing at U.S.C.G. Air Station Traverse City Thursday, April 11, 2013 in a U.S.C.G. HU-25 Falcon jet which will be retired with plans for it to be displayed. Throop was formerly a commanding officer of U.S.C.G. Air Station Traverse City.